Pine tree or conifera, is a type of tree that has gained a good amount of popularity as an ornamental tree in recent few years. 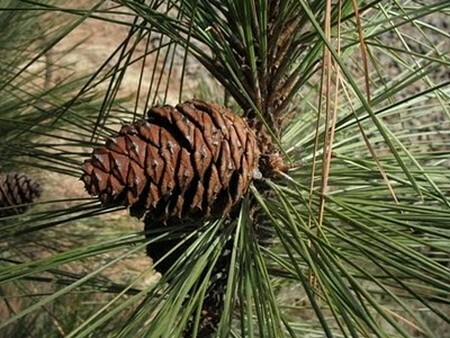 Pine trees are found in great number of different types where each and every type has its own characteristic features and these features make them unique from other tree alike. Pine trees are the member of class Pinus which is further subdivided into two subclasses, i.e. Strobus (white or soft pines) and subgenus Pinus (yellow or hard pines). This is not all. This article is an attempt to give you a detailed account of the different types of the pine trees. Pine trees are widely available in North America, Himalayas in India and several other regions of the world. 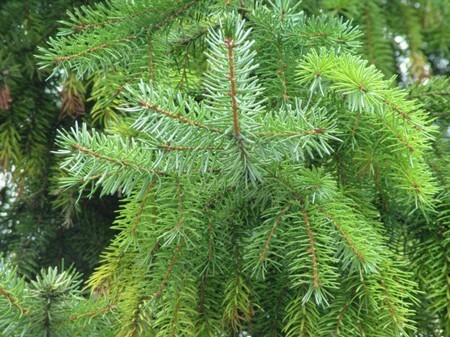 Pine trees are in fact evergreen trees and remain covered with leaves throughout the year. These coniferous trees having needle shaped (pointed) leaves. These trees are known for pine cones that grow on these trees and considered their flowers. These cones are classified into male and female cones where male cone is 1-5 cm in length and female cone is 3-60 cm in length. It has seen that male cones fall sooner than female cones as female cones take 2-3 years to fall. Cones make a good diet for birds and squirrels. Pine trees thrive well in the acid soils. Pine tree is used nowadays as an ornamental tree and its good-looks make it an ideal choice for Christmas tree. Himalayan pine trees are the trees which thrive well in the hardiness zones 5-7 of North America. Himalayan pine tree can grow to the height of 50 feet with a width of 35 feet. These trees have a smooth bark. These are gray in color in their early stages but as they grow mature they become dark and hard. The trunk of this pine tree rarely bears any branches. The leaves are bluish green in color with and are soft. The needle like leaves usually appear in the bundles of 5 with a length of about 4 inch. This tree bears tender cones with no thorns on them. These trees have roots deep in soil. White pine tree is available in several different varieties and each variety is known for its timber. The soft wood of white pine trees is widely used in woodworking for being high in quality. The two broad categories of white pine tree are Western White Pine and Eastern White Pine. The Western White Pine is known to be a slow growing variety and require a soil with a little bit of moisture. However, the Eastern White Pine grows with a quick pace and is widely appreciated for its aesthetics. It can grow to the height of 70 feet. It is important to note here that the young pine trees are more prone to pine tree disease than the mature trees. 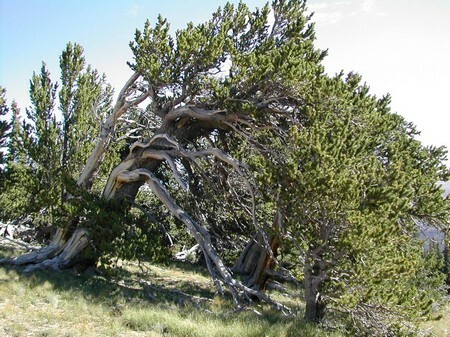 These are also known as Western Yellow Pine, The Bull Pine and Rock Pine. It is given this name because of its giant size. These pine trees are indigenous to British Columbia. These trees have a tall trunk with a large number of branches at the top which looks likes a crown. The leaves are thin with toothed edges. The leaves grow in the bundle of 3 on the branches. It has seen that in some exceptional cases, these pine trees can grow up to the height of 164 feet. These trees have their roots deep into the ground which not only give them a strong hold but also help them getting more water and nutrients. These trees bear oval shaped narrow cones. Jack pine tree is known by some other names such as Prince Pine, Princess Pine, and Scrub Pine. These trees thrive well in poor soil with cold weather conditions. These trees are bushy in appearance and can grow to the height of 100 feet. The needles of these trees grow in the bundle of 2 and are shorter in size. These have their roots deep into the soil. The cones of these trees are small in size and are closely packed because of some kind of resin. Although, these trees are well grown in cold conditions, but when these are grown in deserts, they give shaggy appearance. Jack pine trees are not used by landscapers. These are the pine trees which are known to be grow at a slower pace. This type of pine tree is known to the oldest known type. It is thought that it is 4700 years old type of pine tree. These are not tall trees and can grow to the height of 50 feet. For having that smaller size, these are often referred to as ‘shorties’. These pine trees are known as bonsai trees for the fact of having rounded crown on the top. The leaves of these pine trees grow in clusters of 5 with a length of 5 inch. The cones of these trees are 4 inch in length. These pine trees are commonly found in the mountain regions of western America. The list of types of pine trees is quite long and all of these possess some characteristic features which make them distinguished from other similar trees.